The professional truck driver usually can make around 40K driving for a company on a local route or maybe up to 50K on longer hauls. But they can double the pay by passing the hazmat endorsement test. One way to guarantee a big increase in pay for almost any truck driver is to pass the HAZMAT Endorsement Test or the Hazardous Materials Test at the DMV. 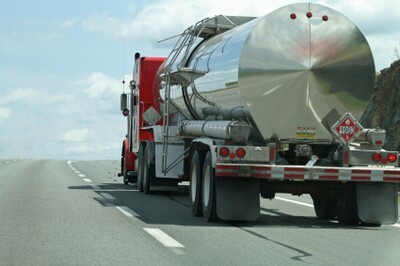 Hazardous Materials CDL truck drivers can earn 75K per year. That equals almost a double increase in pay just by passing the Hazmat Endorsement Test. Why wait? Affraid of passing because the hazmat test questions are too difficult? Don't have time to study? 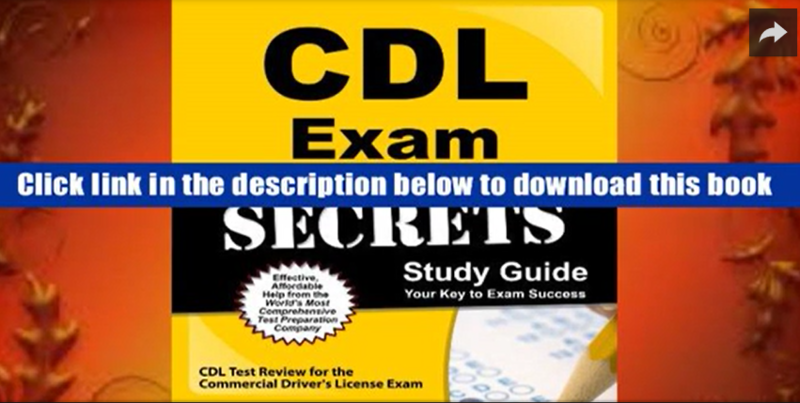 We have you covered at CDL-TEST.com. The Hazardous Materials Endorsement (hazmat) is the hardest one to get. You cannot have felony convictions, DWIs, or problems with employment history related to driving if you hope to pass the background check process. The DMV is very thorough as they investigate a trucker’s background for Hazmat endorsements. If you have a clean background and are at least 21 years of age with a clean driving record, and one year of experience driving professionally, then it is a great idea to study for the Hazmat endorsement test. The Hazmat or Hazardous Materials Test has 30 questions. You need 70% to pass. (70%x 30=21) need to get 21 right. - Can get 9 wrong. Any drivers of vehicles carrying hazardous materials that requires the vehicle to be classified or placarded for hazardous materials will need to pass the test questions to obtain a hazmat endorsement. The hazardous materials endorsement (HME) drivers are required to be fingerprinted / federal background checked. The fingerprints are required the first time you get a Hazmat Endorsement (HME) or when you transfer a license from another state. The USA Patriot Act changed the requirements for issuance of a new, renewal, or transfer HazMat endorsement on a Commercial Driver License. All new HazMat endorsements are required to complete the required Hazardous Materials Endorsement Application and fingerprint application with the Transportation Security Administration (TSA) data collection vendor and be approved by TSA prior to issuance of a CDL with a HazMat endorsement. New CDL hazmat endorsement drivers may be issued a CDL without a HazMat endorsement, pending the FBI back-ground investigations. CDL hazmat Drivers renewing or transferring a HazMat endorsement (“H" or "X”) are also required to complete the application and fingerprint FBI card at least 30 days prior to the expiration date to initiate the TSA assessment. CDL Hazmat Drivers renewing or transferring an “H” or “X” endorsement may receive a 90-day CDL with the HazMat endorsement that will allow them to haul hazardous materials while the required assessment is being completed by holding an “H” or “X” temporary endorsement. The DMV's letter will explain the CDL Hazardous Materials or HazMat endorsement background check requirements. CDL-TEST.com has the best CDL practice tests for passing the Hazardous (HME) Hazmat Endorsement Test Questions. Imagine seeing the test questions and answers prior to taking the CDL test or Hazmat Endorsement test? You could pass the hazmat easily right? Of course! And we are here with email support to answer any questions any time. Just email us and we answer back within 24 hours. 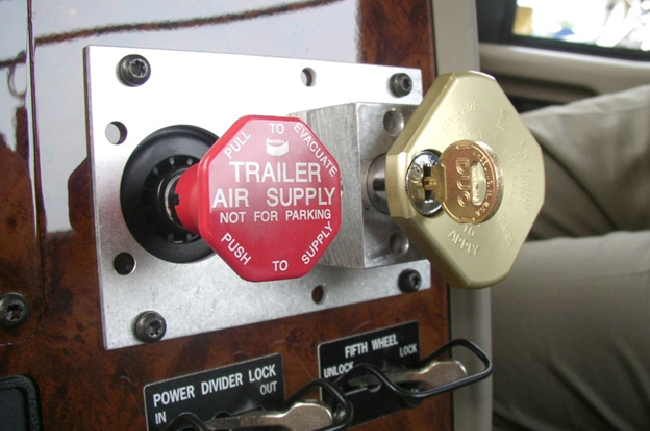 If you are interested in the fastest and best way to remember how to pass the Air Brakes test questions, please read this Air Brakes Test information. Passing the Air Brakes test is the hardest part of obtaining a Class A CDL.